Pakistan has put on a poor show in Asian Games 2018 boxing as they have lost most of their matches so far. Boxer Naqeebullah clinched the only two victories for Pakistan in the tournament so far. He beat Majid al-Naqbi of the United Arab Emirates 3-0 in the men’s bantamweight 60-kilogramme round of the 32 bout. He went on to clinch a 3-2 win over Bhutan’s Nima Dorji in the 16 fight. Mohibullah lost to Powei Tu of Chinese Taipei 1-4 in the men’s 49kg by light flyweight fight. 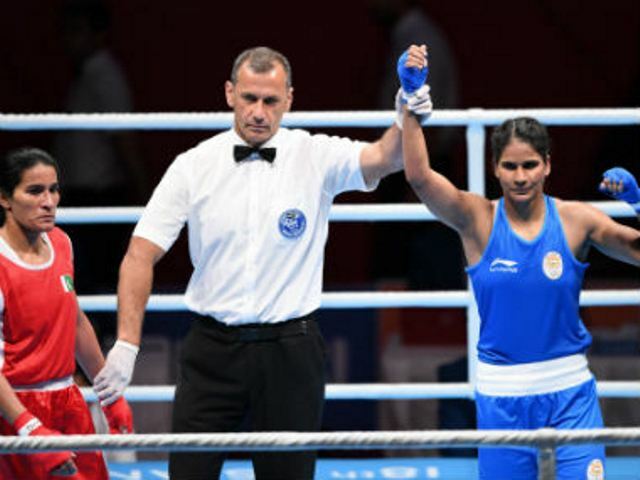 India’s Pavitra was awarded the victory over Rukhsana Perveen when the referee stopped their 60kg round of the 16 bout. In the men’s flyweight 52kg round of 16 fight, Azat Usenaliev of Kyrgyzstan defeated Syed Muhammad Asif 5-0. Gul Zaib suffered a 5-0 defeat at the hands of Kazakhstan’s Aslanbek Shymbergenov in the men’s welterweight 69kg round of the 16 competition. Nazym Kyzaibay of Kazakhstan won their women’s flyweight 51kg round of 16 fight against Razia Bano Aziz after the referee stopped the fight. Hyunsuk Lim of South Korea beat Suleman Baloch 5-0 in the men’s light welterweight 64kg round of the 16 fight while India’s Krishan Vikas beat Tanveer Ahmed 5-0 in the men’s middleweight 75kg 16 fight. In the 2014 Asian Games, only boxer Muhammad Waseem qualified for the semi-finals. Pakistan did not fair well in the 2018 Commonwealth Games boxing event either as the contingent of four boxers could not advance past the quarter finals. Syed Asif was beaten 5-0 by Scotland’s Reece McFadden whereas Awais Ali Khan was eliminated by Ato Plodzicki Faoagali of Samoa 5-0 as well.